For an even shorter tl;dr the [European Commission’s] theory is that consumer trust is essential to fostering growth in the digital economy. And it thinks trust can be won by giving users of digital services more information and greater control over how their data is used. Which is — frankly speaking — a pretty refreshing idea when you consider the clandestine data brokering that pervades the tech industry. Mass surveillance isn’t just something governments do. 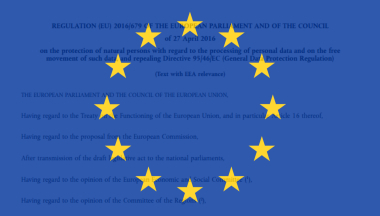 [GDPR is] set to apply across the 28-Member State bloc as of May 25, 2018. That means EU countries are busy transposing it into national law via their own legislative updates (such as the UK’s new Data Protection Bill — yes, despite the fact the country is currently in the process of (br)exiting the EU, the government has nonetheless committed to implementing the regulation because it needs to keep EU-UK data flowing freely in the post-brexit future. Which gives an early indication of the pulling power of GDPR. I’m having conversations about it wherever I go, from my work at Moodle (an company headquartered in Australia) to the local Scouts.